If, like me, you've been craving Emily de Molly and Femme Fatale polishes, where pastel bases collide with super bright glitters, yet are never in stock, this one is for YOU. This polish makes me happier than I can explain. 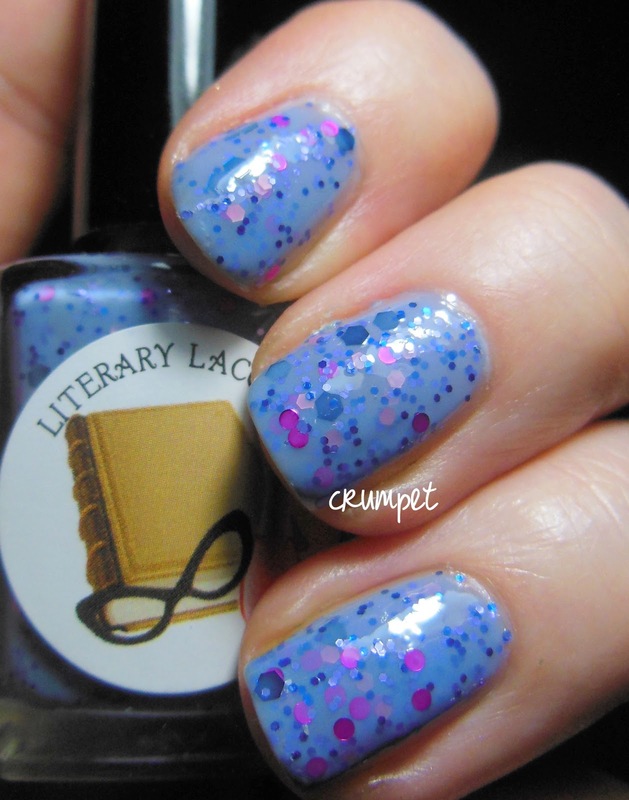 It has satisfied all those itches for Aussie wondrousness AND it has round glitter! Woman of Pleasure is named after a book which was banned for 200 years - Fanny Hill : A Woman of Pleasure. 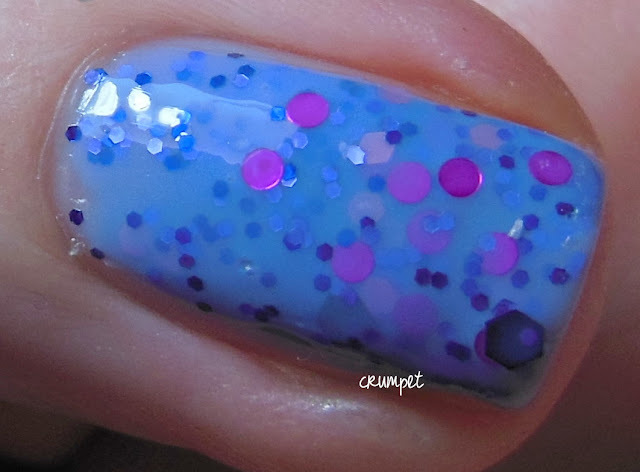 Amy describes it as a periwinkle crelly with navy, lavender, and matte pink glitters, and magenta circle glitter. I describe it as "drool". This is just such a perfect spring polish. It's light, yet bright. Happy AND zappy. Colourful and loveable. AND it makes me smile :) You can't ask for more than that. So, if you're sick of stalking Llarowe and the other sites, I strongly suggested you head to Amy's Etsy shop HERE. You can also follow her on Facebook HERE.